For the third year, the Bridging the Gap’s partner International Disability and Development Consortium(IDDC) is organizing the European Disability and Development Week between the 3rd of December, the International Day of Persons with Disabilities, and the 10th of December, the Human Rights Day. 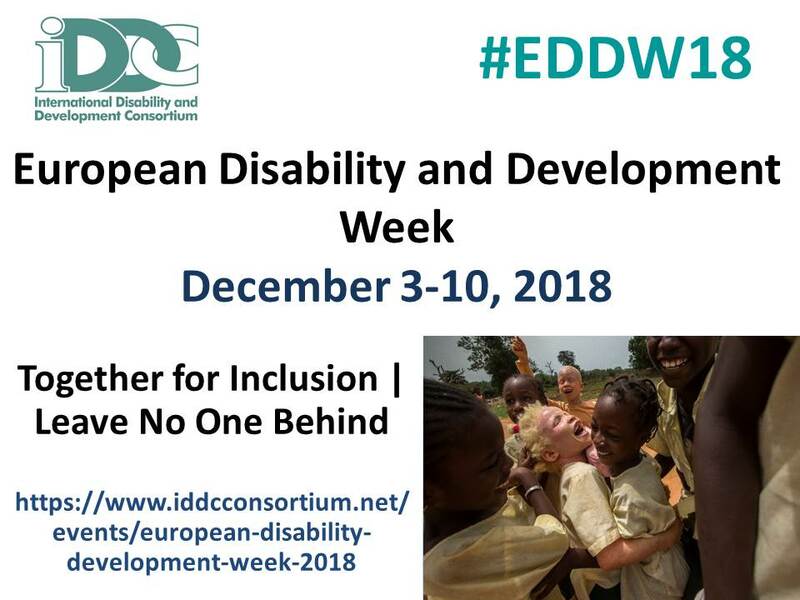 During the Week, IDDC members and partners are organizing different events across Europe, within a unique programme, under the theme “Together for Inclusion – Leave No One Behind”. The objectives are to raise awareness on the rights of persons with disabilities, and the breadth and variety of disability inclusion in development, and foster a dialogue amongst policy-makers, civil society organisations and other stakeholders involved in inclusive development. See the entire Week programme and register to events here. Also in the context of the #EDDW18, a photo contest is organized on the same theme. Photographs must be submitted by 6 January 2018 to eddw@iddcconsortium.net . The full terms and conditions of the photo contest are available here.